Have your booked your wedding at the Kaaterskill Inn or are you considering booking your Hudson Valley Destination Wedding at the Kaaterskill? 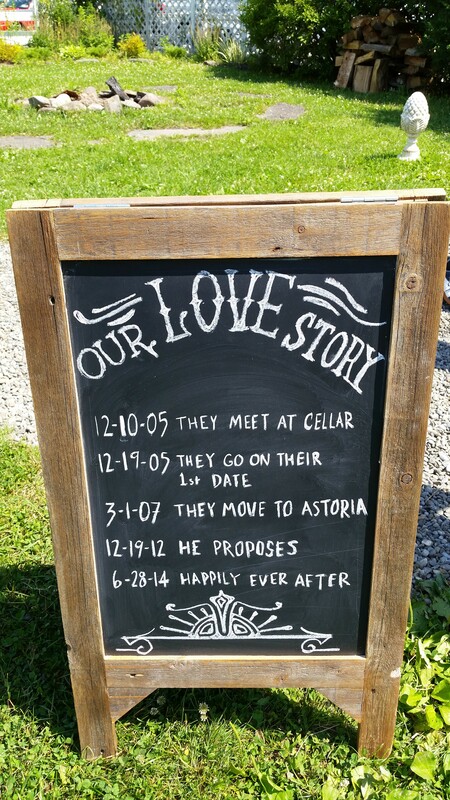 Then you should read our blog for some helpful tips on planning a wedding at the Kaaterskill Inn! The Kaaterskill Inn is one of our favorite wedding venues so we want to share with you some tips on how to plan the perfect Hudson Valley Destination Wedding at the Kaaterskill. Here’s some tips you might find helpful! Let’s start with what you need to know about the venue that might affect your planning. You need a tent if you plan to have over 120 guests. 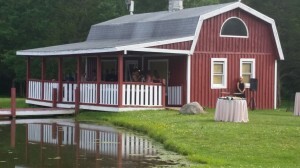 The barn can comfortably accommodate between 100-120 for a sitdown dinner and dancing. You will need to rent everything from tables and chairs to china and everything your caterer needs to cook with. You need a rain plan for the ceremony and reception other than the barn (depending on how many guests you are having). 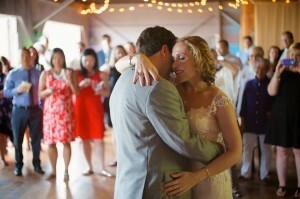 The barn can be a back up rain plan only if you are doing dancing in there and are using a tent for dining. 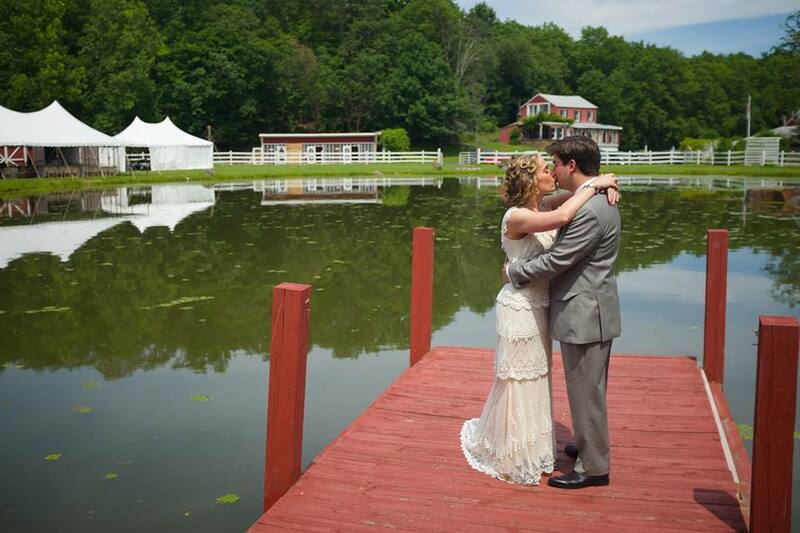 If you absolutely want the beautiful mountain backdrop for ceremony pictures and don’t want to use the barn then you will need to rent a tent for the ceremony with marquis connections so your guests don’t get wet walking from the ceremony tent to reception tent. It’s important to note that certain rental companies require you to finalize rentals 10 days prior so if you wait until the last-minute to reserve a tent you could be out of luck if it rains. If it rains several days before your wedding and you are planning a tent reception you should be aware that the ground could be muddy on your wedding day. This means you might want to consider renting flooring for the tent area or using the barn if it can accommodate your guest count. There is only enough parking for about 20 to 30 cars along the road which means you should plan to reserve a shuttle service. This can cost you between $700 to $1100 depending on the company and the number of hours you want to reserve it for. So make sure you figure that into your budget. Since you will need a shuttle service you should plan to block rooms for your out-of-town guests well in advance so you have one or two locations to have the shuttle service to. If your guests are staying at many locations you need to arrange for a central location for shuttle pick up and drop off. 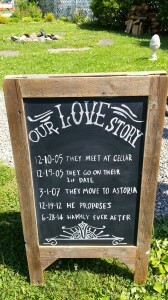 You should also consider the time of the year and date of your wedding. The area tends to get extremely busy in the summer starting the end of May through Labor Day weekend because of HITS (Horse Shows) and lots of tourism in the Village of Saugerties. Hotels book out almost a year in advance and private rentals book up quickly as well. Some of the hotels give HITS guests priority and won’t book rooms until the beginning of January as well. You can check the HITS website for a list of horse show dates. Can I handle all of the logistics of planning and coordinating the day of the wedding? This might be a lot to take on if you are having a destination wedding. You can relieve a lot of the planning stress by hiring a local wedding planner who can take care of all of the logistics, site visits, vendor recommendations, reserving accommodations, rental drop off and check in and more stressful details. If you find it’s not really in your budget you might just want to hire an experienced planner to assist in just running the day of logistics, rentals set up and be the liaison between the site coordinator, the caterer and rental company at a minimum. What is my budget and how much do I want to spend on rentals, catering, decor, transportation, DJ, photographer, etc? 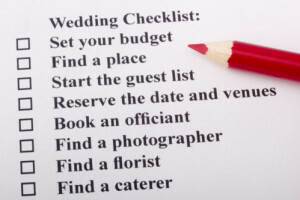 You should start with a budget before you even begin your search for a venue but should you book your venue first you should definitely consider the budget before you get more involved in planning. There are some DIY budget guides you can find online that suggest a range of what you should expect to spend on vendors but I caution you in using them because they are usually based on the national average and not what you should realistically expect to spend in your local area. Local wedding vendors can give you a better idea of what the actual fees are to consider before you begin booking. Having a wedding planner can also be an asset to you since he or she will know exactly what things cost and can even negotiate some great deals with reputable vendors to fit your budget. You might just end up saving money. Make sure you follow our blog so you don’t miss out on our next post on creating your wedding budget! Decide on what is the most important items for you. Everyone has different priorities and you don’t want to end up spending more than you have and not being able to get everything you hoped for. For example, if your dress and your DJ are most important to you then you might want to figure more money for them than your caterer or videographer. Consider the items you are willing to forego if your budget is tight. Decide what areas you would like family members to assist with. You might end up with too many opinions and find it difficult to make decisions because you want to keep everyone happy. If you make it clear to everyone in the beginning, you will find things go easier. For example, you might plan to have your parents assist with choosing the caterer and your future in-laws assist with the rehearsal dinner food selection. This way you keep both families happy and make them feel their opinions are equally important to you in food selection. 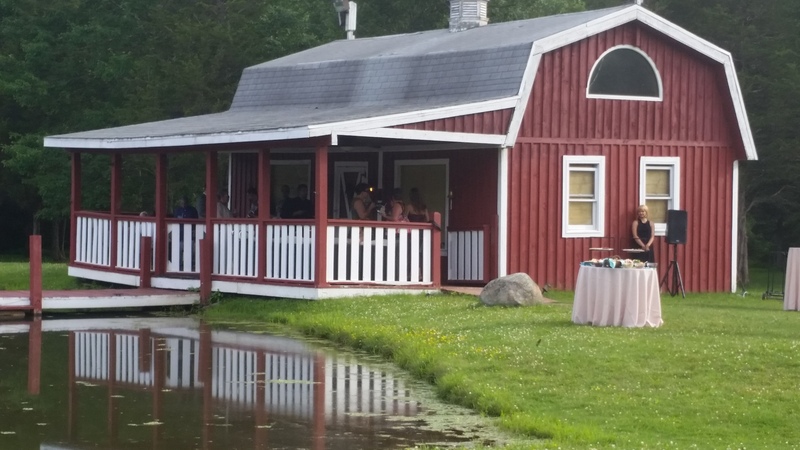 These are just a few of the items to consider before booking your destination wedding at the Kaaterskill or you even begin planning your wedding if you have already booked! So if you are considering or have already booked and would like to hear more about planning a wedding at the Kaaterskill contact us today!